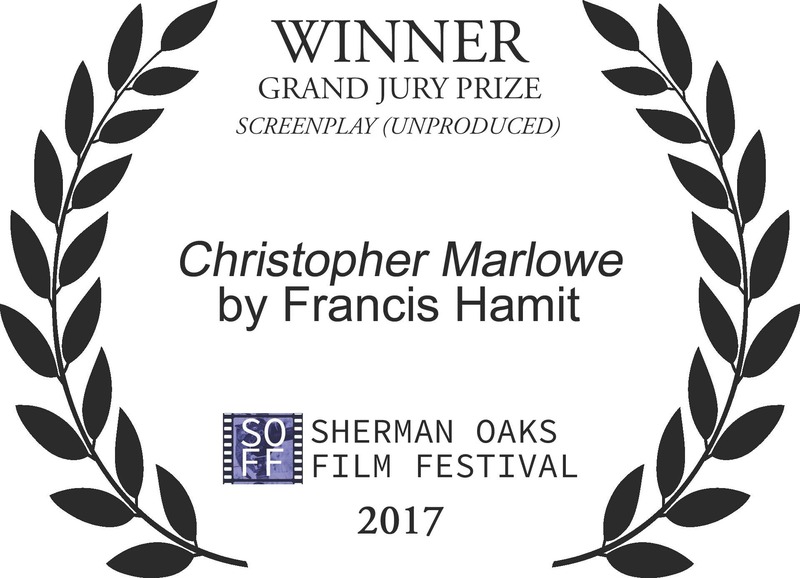 SHERMAN OAKS, Calif. - Dec. 4, 2017 - PRLog -- Francis Hamit's "based on a true story" screenplay for the forthcoming feature film CHRISTOPHER MARLOWE has won the prestigious Grand Jury Award at the Second Annual Sherman Oaks Film Festival held in November. This is the fourth major award for this unproduced screenplay. 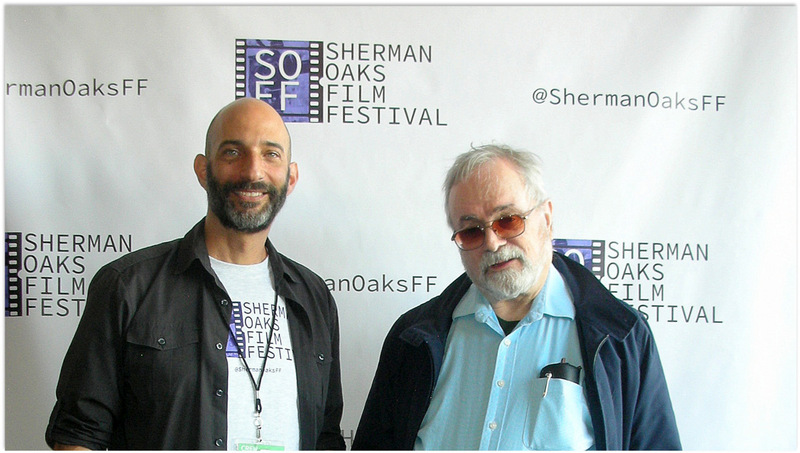 Previous wins were at the GO Independent International Film Festival in Washington DC, The New Renaissance Film Festival in London, England and the 2016 Hollywood Book Festival. "Marlowe was a spy," Hamit said, "That much is documented fact. And he worked for the first international spy organization, the early English Secret Service created by Sir Francis Walsingham. His death, at the age of 29 in 1593, was passed off as the result of a fight over a bar bill. The truth is much darker. He was actually assassinated, by secret order of Queen Elizabeth herself, for preaching atheism. The other three men in the room were all Secret Service agents. The man who killed him was pardoned a month later." Hamit has spent many years researching the story, which he first discovered while working for the Encyclopaedia Britannica in the early 1980s. "We owe a debt to the academic community, which discovered many of the fascinating facts that we've used to structure this screenplay and provide a more accurate portrayal of Walsingham's Secret Service and the Royal government it served. This is not a documentary or even a bio-pic, but many previous film and television shows have fallen so far off the mark that accuracy is an issue with a substantial portion of the audience. "If you have an element that is obviously wrong it creates cognitive dissonance which destroys the suspension of disbelief and just rips the audience away from the story you are trying to tell. This is a particular problem in the United Kingdom where we will make this film next year, using UK incentives and tax benefits. This story is part of their heritage and we established a UK company, The Kit Marlowe Film Co. Ltd, to make it. Getting from the script to the finished film is a long, slow process. Winning awards like this is not just personally gratifying for the screenwriter, but helps promote the film itself by raising audience awareness. People know we want to get it right. "Kit Marlowe was brilliant, but also arrogant and reckless, much like the protagonist in his own play about a man who sold his soul to the Devil, Doctor Faustus. He wrote some of the greatest plays and poems in the English language but, unlike his colleague and rival William Shakespeare, could not leave it at that. He had to get involved in politics and push the envelope of public acceptability in a society that was one of the most efficient tyrannies in history. He counted on his popularity and power with words to save him. It did not." The film is scheduled to be produced next year by famed producer Gary Kurtz by The Kit Marlowe Film Co. Ltd. using UK tax benefits and investors. 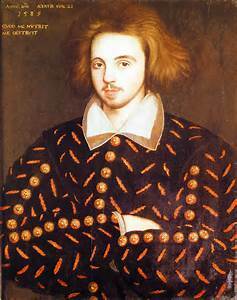 Release will probably be in 2019.
: The Kit Marlowe Film Co. Ltd.
Producer Gary Kurtz Of "Star Wars" Fame To Produce The Elizabethan-era Spy Thriller "Christopher Marlowe"